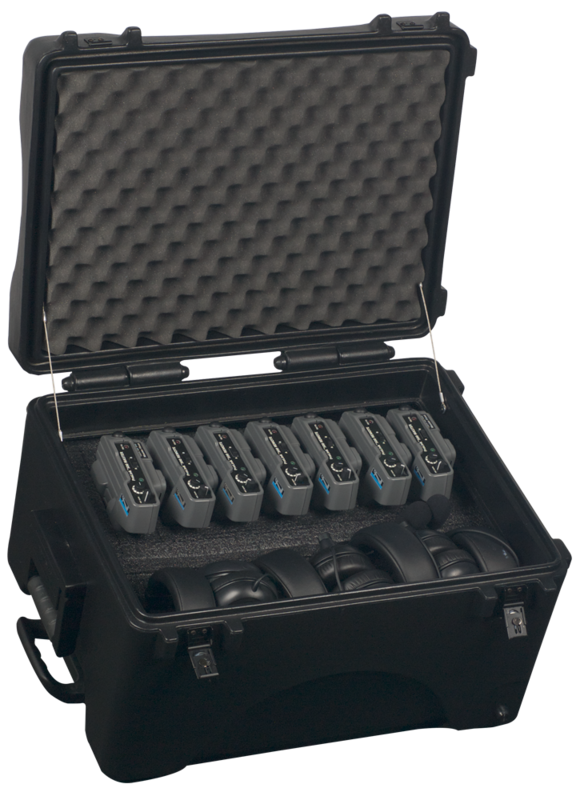 The HC-ARMOR24-PL is an Anchor Armor® rolling hard case for the ProLink wireless intercom system. With a retractable handle, wheels, and custom cut foam inserts, the ProLink can be safely and easily transported from the theater to the broadcast studio and even house of worship services. Take the Anchor Audio ProLink along on trips and know that the product is secure during transport in this rugged rolling case. Not going anywhere? The Anchor Armor is also a great place to store the system all in one place, so that nothing is misplaced.